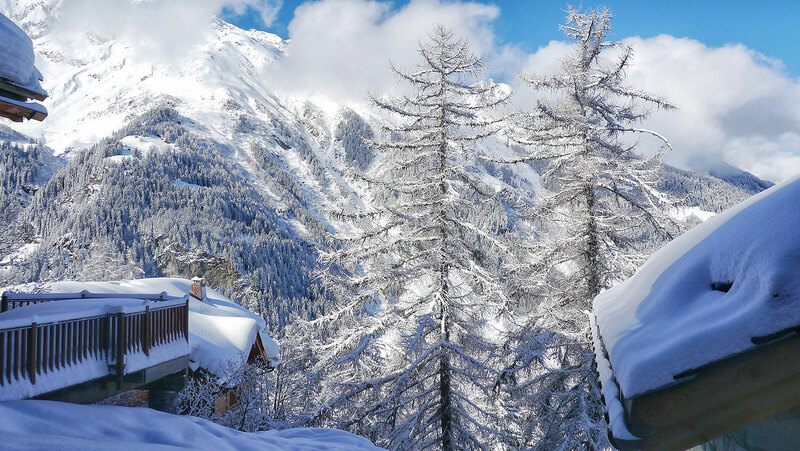 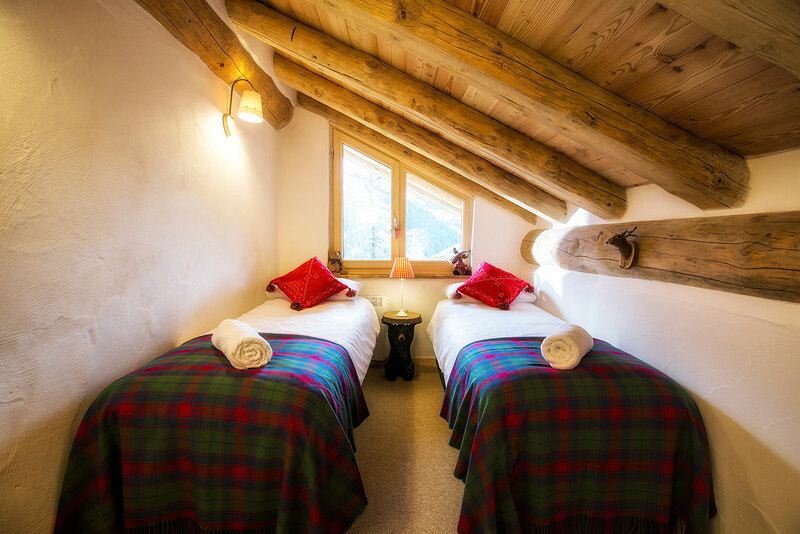 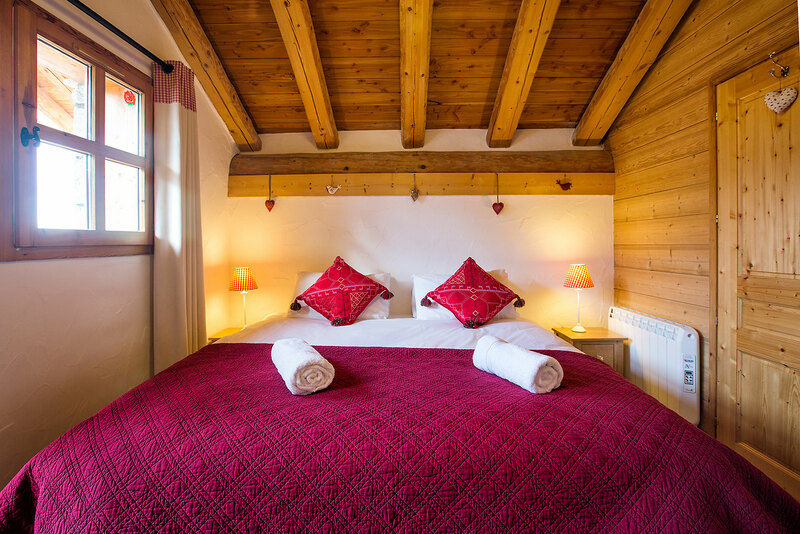 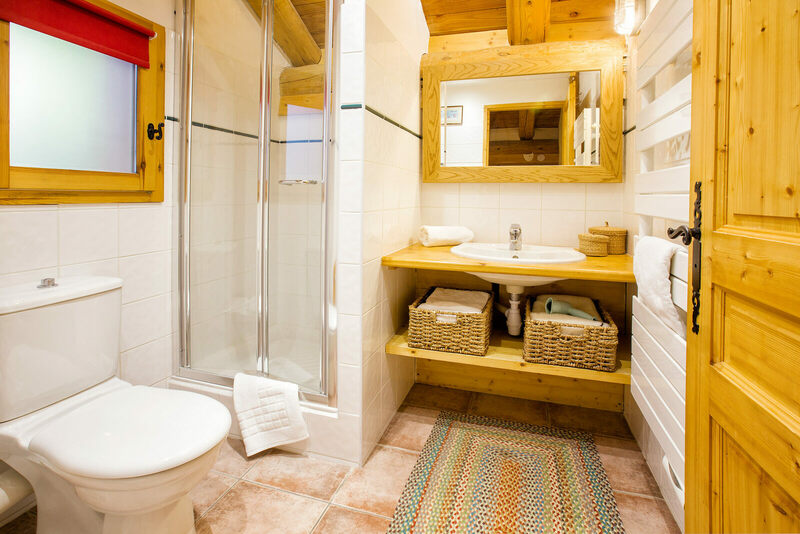 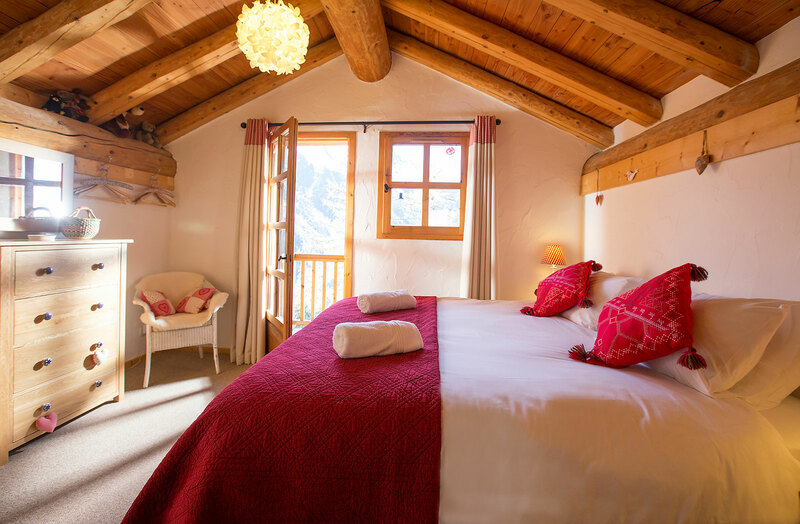 Chalet Petite Ourse is the perfect alpine chalet in miniature. 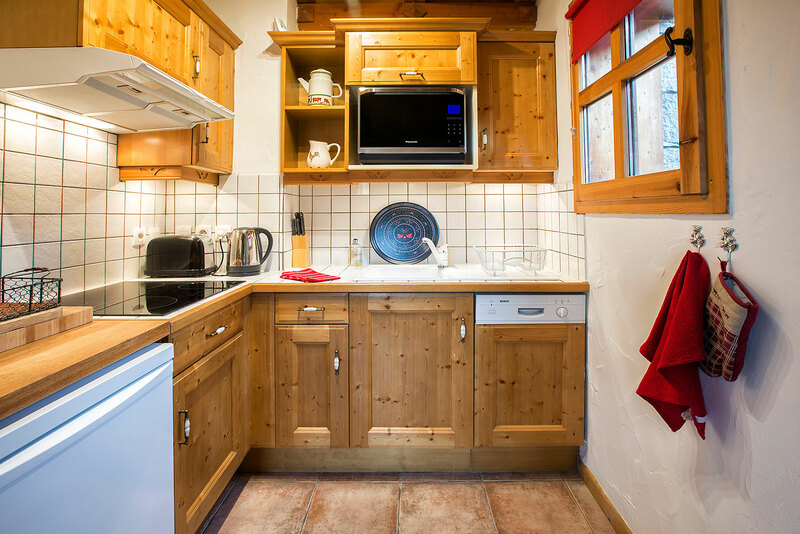 Everything you'd expect from an alpine chalet but for 2-4. 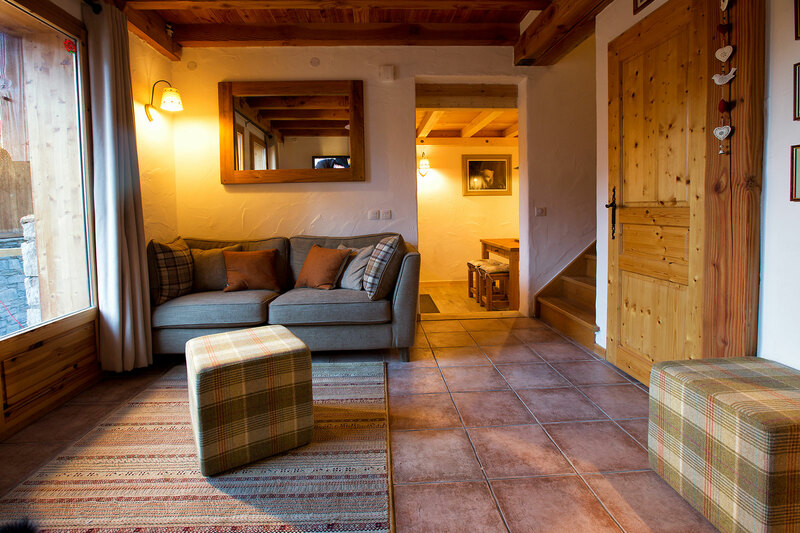 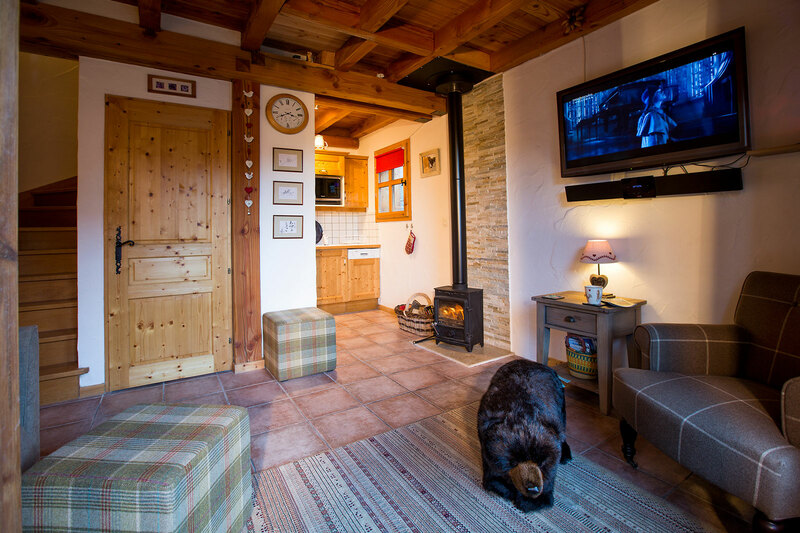 It has a double bedroom and a twin, a family bathroom, beautiful views, a wood burning stove, a fully fitted kitchen with dishwasher, UK TV, with sound bar and free WiFi. 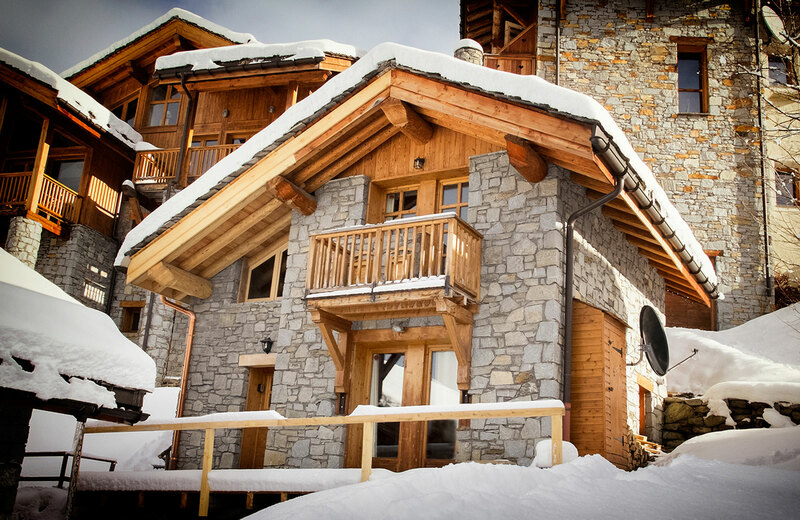 It is in a quiet but central position in the village, 100m from the lifts and 50m from the bars and restaurants. 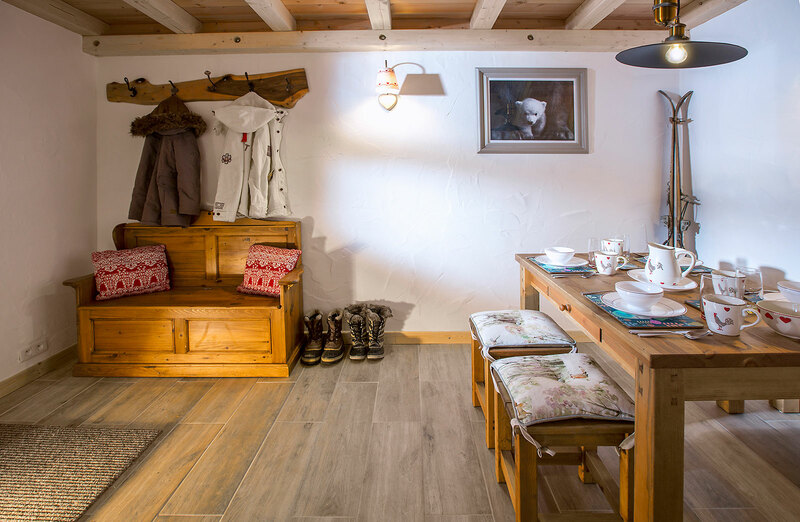 Convenient underground parking. 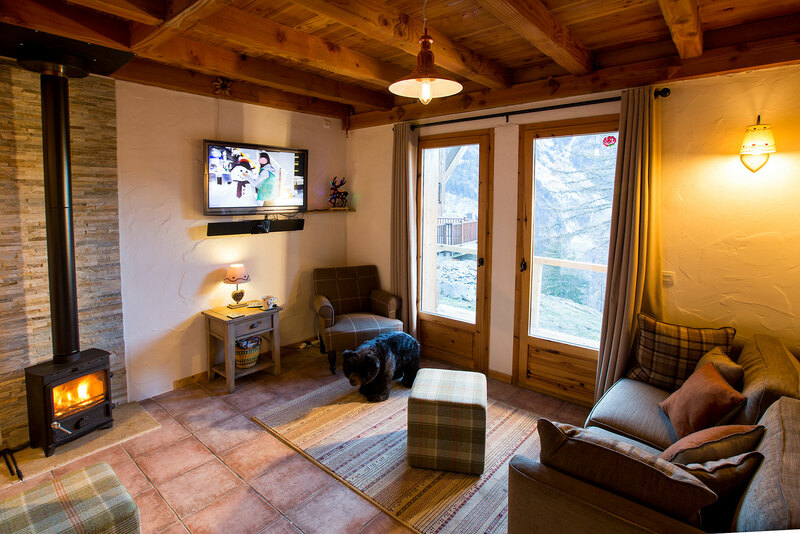 Cosy seclusion only meters from all the amenities.